QUALITY PRODUCE: Staff of the Ajar Of company take a break in proceedings at the Sturminster Cheese Festival. 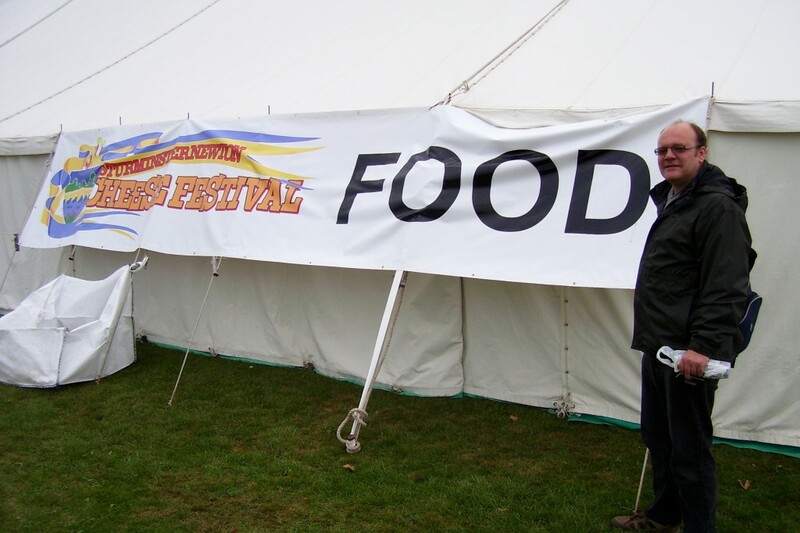 TON UP: The Sturminster Cheese Festival’s banner celebrating a century of cheese-making in the town. POPULAR VENUE: Visitors enjoy themselves near the beer marquee at the Sturminster Cheese Festival. 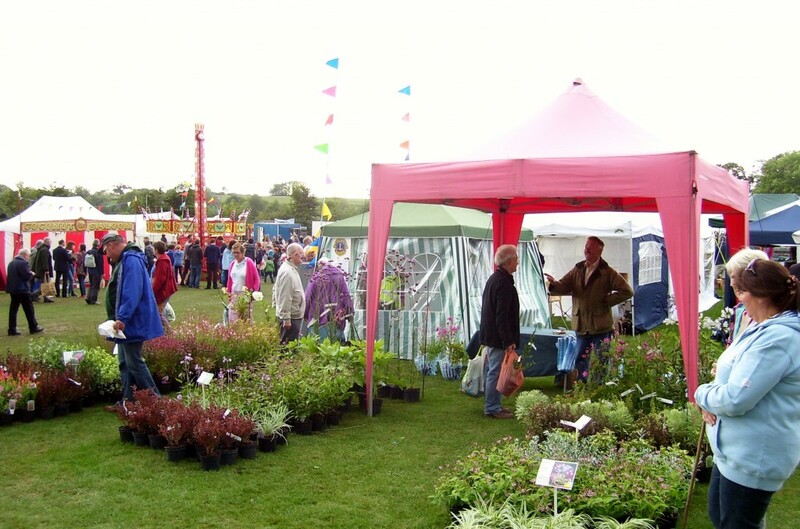 GREEN FINGERED: Visitors to the Sturminster Cheese Festival check out some bargains at a plant stall. THIS year’s Sturminster Newton Cheese Festival coincided with a century of cheese-making in the North Dorset town. In 1913 a group of farmers formed a co-operative in the town to distribute their milk more efficiently and a creamery was built alongside the railway line in order for milk to be easily sent up to London. 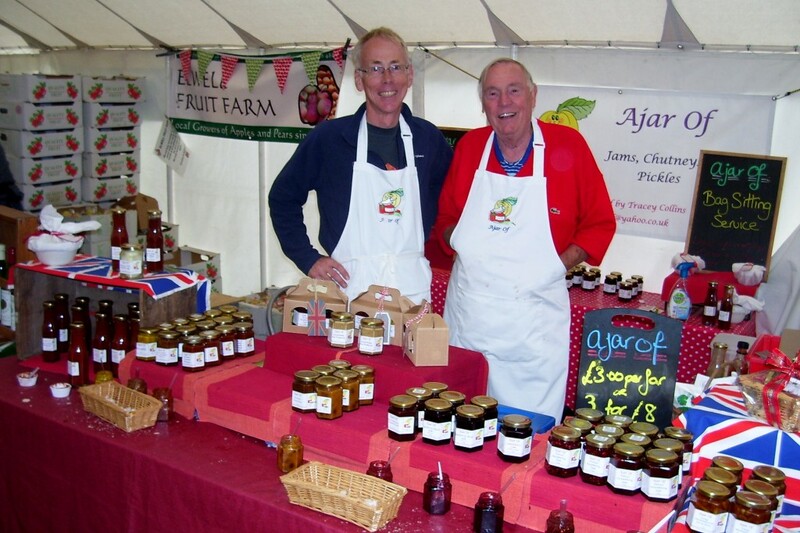 Today hundreds of people visit the town to celebrate those pioneering artisans and now their skills have passed down the generations and it is very much thriving. 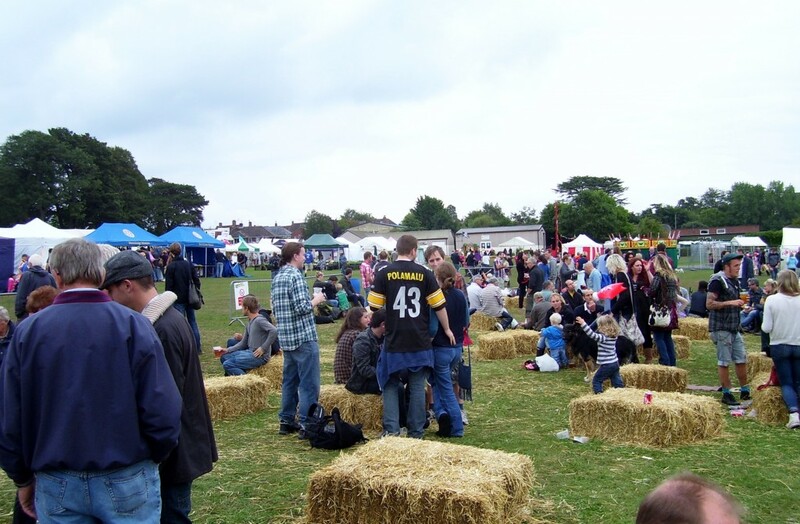 The inaugural festival took place in 1999 through the joint efforts of the Cheese Board, Dorset County Council and the local branch of the NFU. The weekend has heralded as such a success that it is still putting Sturminster Newton on the map on an annual basis. The festival has continued despite the blow of losing the creamery in the town in 2000 and it’s knock-on effect to staff and local dairy farmers. 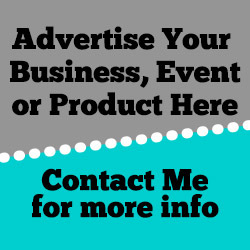 The cheese festival is run as a charitable event, run by unpaid volunteers, in a framework provided by the local Rotary Club and its organising committee consists of Rotarians and other members of the local community. This year it proved so popular that three-way controls run by the stewards was slow progress but after showing a certain amount of patience, was very much worth the wait. Amongst the exhibitors were the producers of Blue Vinny Cheese made from unpasteurized, skimmed milk. It has a creamy texture yet a nutty and very strong flavour. It tends to crumble due to its low-fat content. James McCall was getting visitors to try out his award-winning washed rind cheeses. He works with Paul Thomas at Lyburn Cheese and Alison French at Chalke Valley Cheese. The cheeses are made at the Lyburn and Chalke Valley dairies and matured at a specialised maturing room at Child Okeford. James is a judge at the British Cheese Awards and World Cheese Awards. Lyburn Cheese and Chalke Valley Cheese also had stands at the festival. Somerset was also well represented with Keens Cheddar of Wincanton; Greens of Glastonbury; Wootton Organic Dairy of North Wootton, near Wells and Westcombe Dairy of Shepton Mallet. Godminster Cheese were tempting people with cheesy treats of their vintage cheddar produced on their Soil Association certified farm in Bruton and is sold through Riverford Organic. During the past four years, over £100,000 has been raised for the benefit of local charities and organisations.